With Karen Young M.S.W., R.S.W. 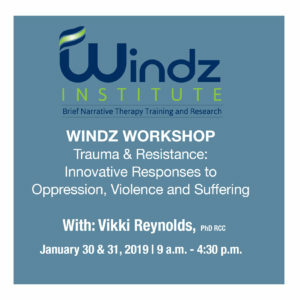 30 hours of thorough examination of Narrative Practices presented in clear useable ways that can be taken into everyday therapeutic practice in any setting with any presenting problem. 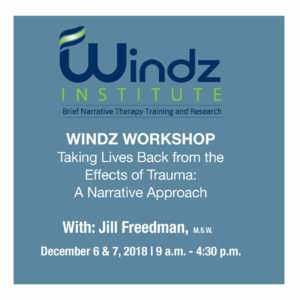 This training program offers participants the opportunity to fully explore the many exciting ideas and practices that inform Narrative Therapy. Narrative Therapy has become one of the most widely used approaches in Walk-in clinics and Brief Services. 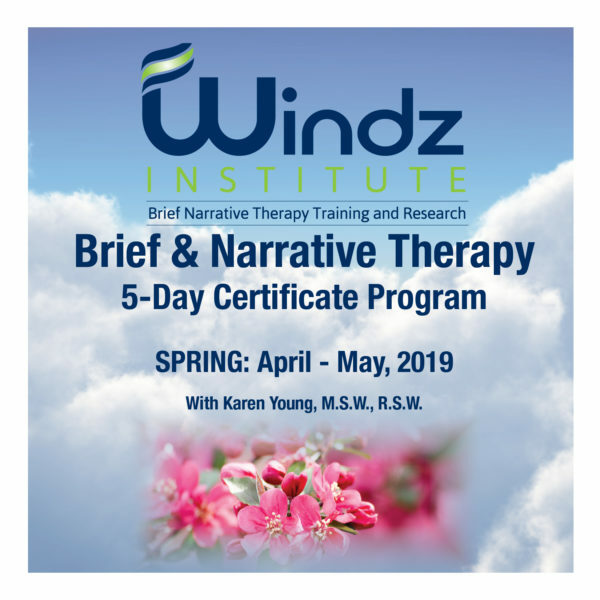 Narrative therapy is an excellent fit with both longer-term therapy and with time-sensitive services as it assists in creating an impactful, novel, and meaningful conversations quickly. 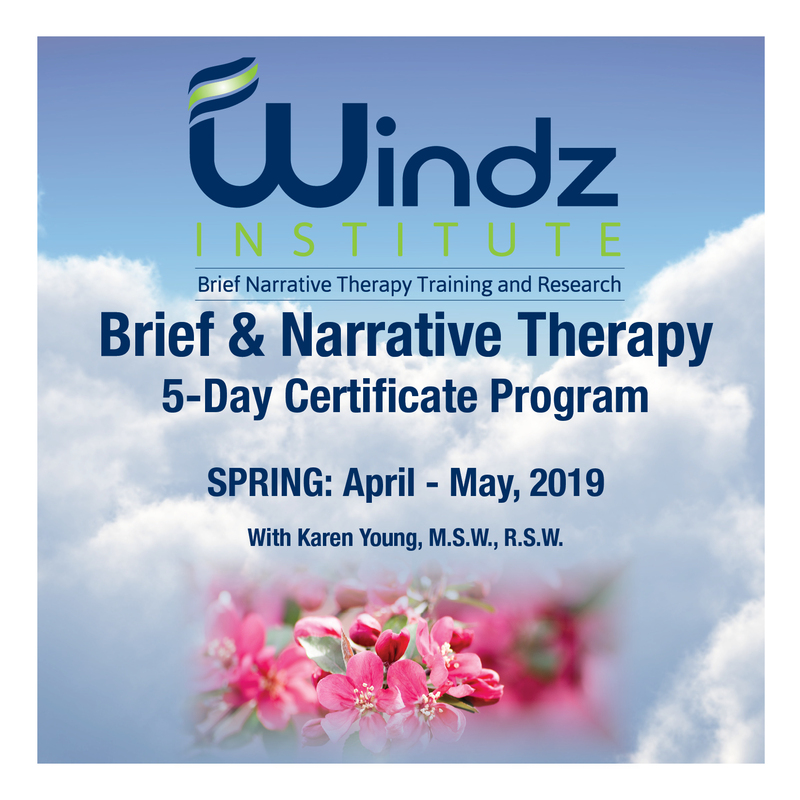 ** The option to continue with the Advanced Brief & Narrative Therapy Certificate Program is also available! 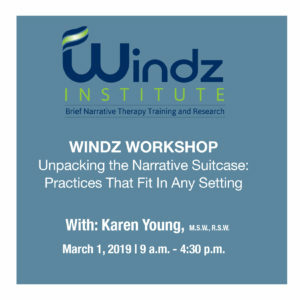 • Ideas and practices that will make it possible to take narrative therapy into your everyday work. • Clear understandings of how to enrich your practice using postmodern theory from Foucault, Vygotsky, Bruner, James and van Gennep. • How specific ways of being curious can create more useful and meaningful therapeutic conversations within any therapy approach. • A uniquely detailed guideline for therapy conversations that can be used in any setting—walk-in, brief, short or longer- term work, and with any presenting concern. changes how clients listen to each other in therapy sessions. 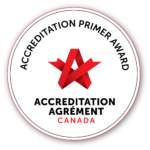 • Skill in the use of narrative practices in brief settings such as single session and walk-in clinics and in your longer-term work as well. • What clients have reported in research about what is meaningful and useful in therapy.